Model was produced by Piko item #5/6333. Model is decorated for Germany Railway DB Lo comotive #38234. Model has working NON reversing white lights on both ends. The model is excellent condition. 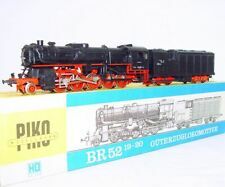 Piko/Gützold H0 Steam Locomotive BR 86 1800-1 DR. Runs Perfectly. Piko/Gützold H0 Steam Locomotive BR 86 1800-1 DR. Excellent Condition. Runs Perfectly. Piko #51020. DR # 243 806-7. German Electric Locomotive. Used, tested good. Gützold/Piko H0 EX BR 110 Diesel Lokomotive Cargo DB. Excellent Used Condition. Gützold/Piko H0 EX BR 110 Diesel Lokomotive Cargo DB. Excellent Used Condition. Runs Perfectly. SEE PICTURES AND VIDEO! TESTED - RUNS IN BOTH DIRECTIONS! USED VERY GENTLY. Condition: 100% Top Mint Condition. The loco is like new! Hardly used, maybe testrun only! A lovely find for the real Die-Hard of the rarely seen and produced Coondensing Tender models in HO scale! 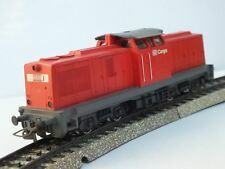 Piko HO 1:87 DEUTSCHE REICHSBAHN Red BR-120 Heavy DIESEL LOCOMOTIVE MIB`76 RARE! Condition:100% Top Mint Locomotive, appears to be never been used or test run ONLY! Very hard to get in this particular shape and condition! A less seen, very nice, very well sculped/molded Diesel Locomotive 4-4 Wheel bogies. PICO JUNIOR MODELBAHN SCALE HO 1:87 16.5 mm. Vintage Piko Gützold H0 BR 66 002 DB Steam Locomotive. Excellent Condition. OVP. The model is used and in hardly used condition. The Engine run to both directions ,The lighting function is out of function.With its box which in very bad condition ,and no papers. The detailed pictures can help you to rate the condition of item. Piko Gützold H0 BR 86 1800-1 DR Steam Locomotive. Excellent Condition. The Engine is used and in used condition. (See picture no 8) other missing small parts are possible. Anyway looks not bad. The model is dusty. Engine run good, The front side lighting is in order. Piko HO Diesel locomotive BR 130("ludmilla") of the DR. Model Is in very good condition. Engine run on both ends. One directions is a little weak. The lighting is OK to direction of travel. No box, No papers. The Model Is a little used but looks very good. Engine run to both directions and No lights(Factory made) With own box. No papers. Piko HO 1:87 French SNCF BR-55 STEAM "LADELIFRANCE" LOCOMOTIVE MIB`78 VERY RARE! Condition:100% Top Mint Locomotive. Appears to be Unused or testrun ONLY! Very Scarce example! These SNCF Models where mad ein very low quantity and one badge ONLY! No broken off or missing parts! Standard DC analog operation. New item, only taken out of the box to display in the showcase. Piko HO DR Deutsche Reichsbahn BR-56 STEAM LOCOMOTIVE + Coil Powder Tender MIB! The box looks very good! Sight wear. Great Condition. A less seen, very nice, very well sculped/molded Steam Locomotive 2-8-0 Wheelbogies. All original. Be keen on this wonderful treasure! I`m sure you will love this set! 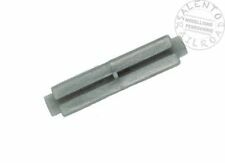 Piko Diesel 106 256-1 DDR BR106 #4471? Piko #4471??. DDR #106 256-1. In Original Box. Used, tested good. 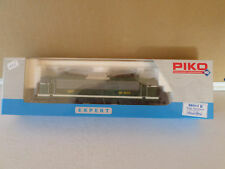 PIKO HO LTE G1700 BB Diesel Locomotive Era V. Standard analog AC 3-rail power. New item, only taken out of the box to display in the showcase. The Engine is used but in used/good condition. No any visible defects but small limitations are possible. The headlight is functioning. No box and papers. The detailed pictures can help you to rate the condition of item. The Engine very little used and looks like new ! So in excellent condition. Item with its own box and paperwork. The box is not in very good condition. Have a quest s ion?. Condition:100% Top Mint Locomotive. It was probably never used, testrun only. A lovely model in very nice shape! A great runner! You will love it. The body of the loco is like new! The innertray is complete. Piko HO model. NEW AND FACTORY SEALED. Piko HO 1:87 DEUTSCHE REICHSBAHN Green BR E-42 ELECTRIC LOCOMOTIVE NMIB`76 RARE! Condition:Near Mint Locomotive! Wonderful Model! Our price is kept low for this reason, so grab your chance. That's all. No discoloration! Be keen on this wonderful model! -Scale:1:87 HO. Enjoy them! The Engine is almost new and in excellent condition. The model run to both directions and the front side lightning are in function. With own box. No papers. Have a quest s ion?. PIKO HO BR 38 234 DR.The Engine used and in used condition. Also engine is dusty and dirty.Engine run normally and the lights are functioning. Visually this engine not for perfectionist ,but OK for layout using The detailed pictures can help you to rate the condition of item. Piko HO 1:87 DEUTSCHE REICHSBAHN BR-185 DIESEL PASSENGER MOTORCOACH MIB`76 RARE! Condition:100% Top Mint Motorcoach (Powered Main Unit) Fantastic Model! These Diesel Operated Motorcoaches where uses as single units aswell as Multiple Units! These where used in formal East Germany by the Deutsche Reichsbahn. Locomotive diesel BB 60000. e-génie SNCF époque VI. Locomotive analogique 2 rails digitalisable plux 16/22. > Échelle : Ho. > Longueur : 176 mm. Locomotive diesel BB 60000/460050. Locomotive analogique 2 rails digitalisable 16/22. PIKO-HO-1/87e-Neuf en BO. FRET SNCF époque VI. Livré en boite d'origine avec notice et détailles à monter. PIKO - PI 96506 - Echelle 1/87. Locomotive Électrique BB 25636 Livrée Béton Analogique. Analogique - Prise pour décodeur 8 Broches. Locomotive diesel BB 60000. e-génie SNCF époque VI. Locomotive analogique 2 rails digitalisable plux 16/22. PIKO-HO-1/87e-Neuf en BO. Livré en boite d'origine avec notice et détailles à monter. Locomotive électrique Rh 2800. Version analogique. Version - Analogique. Echelle - HO. Epoque - IV. Locomotive électrique série 182 de la DB AG, H0 4 essieux moteurs. 96947LA PIKO HO LOCOMOTORE 1016.174 -2 DELLE OBB analogique. MPN 96947LA. CONDUITE DES FEUX DE DIRECTION. MOTEUR PUISSANT DE 5 PÔLES. ARBRE DE TRANSMISSION SUR TOUS LES AXES. Echelle : 1/87 (H0). GRANDE ET PUISSANTE LOCOMOTIVE ÉLECTRIQUE. BR 001-8 82. DIRITTO DI RECESSO. Echelle : 1/87 (H0). RÉELLE OPPORTUNITÉ À NE PAS MANQUER ! 1 Locomotive diesel SNCF type BB 67000. Version - Analogique. 1 transformateur 1 régulateur de vitesse. prévoir une planche de 168 x 98 cm minimum. Echelle - HO. 1 wagon plat chargé d'un conteneur. surface : environ 158x88cm. Locomotive diesel avec interface numérique · 4 essieux moteurs · Eclairage alternant · Pneus forte adhérence. Voie PIKO A. Tipo binario Sistema a due binari. Set de démarrage avec locomotive diesel série 119 3 wagons à bords hauts de la DR pour voie H0 Surface de base : env. PIKO by SAI Set 5 CARROSSES Corail blanc/gris logo encadré + BB26000 "Sybic"